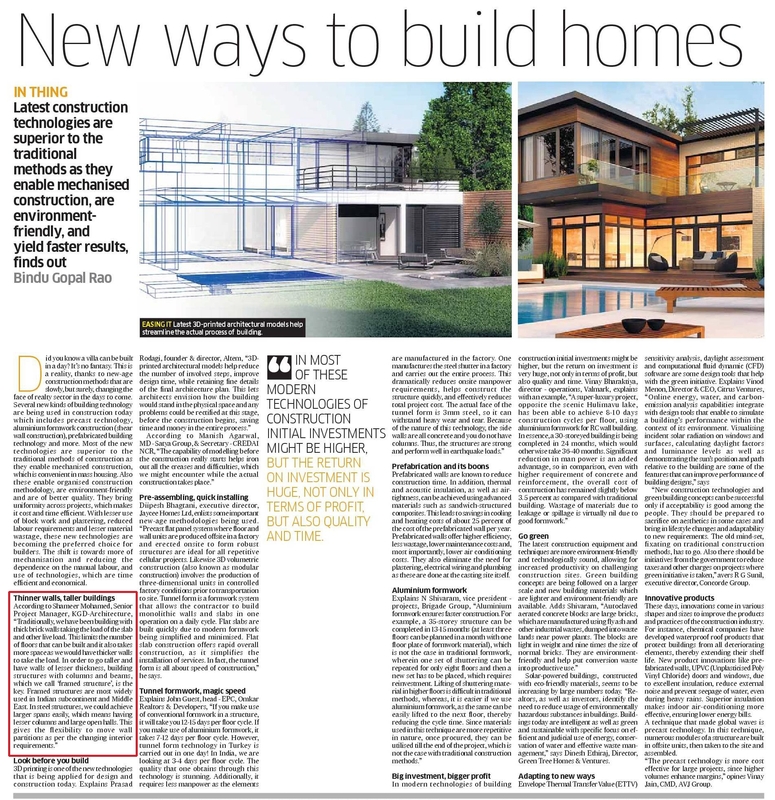 Deccan Herald one of Karnataka’s leading English Publication (now in New Delhi as well), has carried a brief quote of our Senior Associate – Shameer Mohamed in one its story carried by Home & Interiors (supplement). The article talks about latest technologies being used in building up infrastructure today and takes Shameer’s input in the first place. The story also consists of quotes from other senior members in the industry including Manish Agarwal, MD Satya Group & Secretary CREDAI.